Creating a society inclusive of people with physical disabilities. March of Dimes Canada is a nationally registered charitable organization that provides support services to people with disabilities, their families and caregivers across Canada. March of Dimes is a community-based rehabilitation and advocacy charity for people with physical disabilities. Our goal is to enhance the independence and community participation of people with physical disabilities every day through a wide range of programs and services across the country. Since 1951, March of Dimes has been on the forefront of the disability movement in Canada. Every year, we provide programs and services to over 50,000 children and adults with disabilities. PENNIES TO DIMES… DIMES TO DOLLARS… DOLLARS TO CHANGE LIVES! 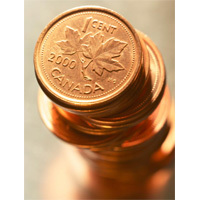 As the Canadian Royal Mint has recently decided to discontinue production of the penny – what better way to make good use of existing pennies than to donate them to March of Dimes? Make your pennies turn into dollars to support programs and services that change people’s lives. Simply roll your pennies and take them to your local TD Bank and deposit into the March of Dimes Account # 5212586, Transit # 14402, Bank # 004. Please use the reference code: 910596. Get others caught up in the excitement and fulfillment of helping people by collecting and rolling pennies with you – your co-workers, your Club/Association members, your neighbours, and your family. It’s a great project to include children! Have them raid their piggy banks, get their friends and classmates involved. They can collect and roll pennies to help other kids, like Lily. This is a fun way to teach children sharing, responsibility, and getting involved with charitable acts for others. Your simple act of kindness means that someone, perhaps even a family member, friend or neighbour can have a better life. A few small pennies are worth that. This is a consumer-centered conference aimed at helping people who use Alternative and Augmentative Communication (AAC) systems to develop their lives to the best of their abilities. Breaking the ICEwest is an outgrowth of the original Breaking the ICE Canada conferences held in Toronto since 2000. Those conferences were born from and inspired by the Pittsburgh Employment Conference, a consumer centred conference for augmented communicators. In 2012 a small working committee in British Columbia hosted “Island Voices”, a one-day workshop for ACC users living on Vancouver Island. These events have proven themselves to be a powerful force for change and a source of empowerment for an often marginalized group. For more information about previous ICE Canada conferences, please visit~ www.breakingtheiceconference.ca where you can find presentations from previous ICE conferences on topics such as: Recreation, Leisure, Travel, Marriage, Dating, Relationships, Aging with a Disability, Spirituality, Advocacy, and Independence. Youth and adults who use AAC, people who support those who use AAC, and professionals in the field of AAC are welcome to attend, observe, learn and network with the wide variety of people attending the conference. Living with a Disability Conferences connect consumers and health professionals with services in the their community. 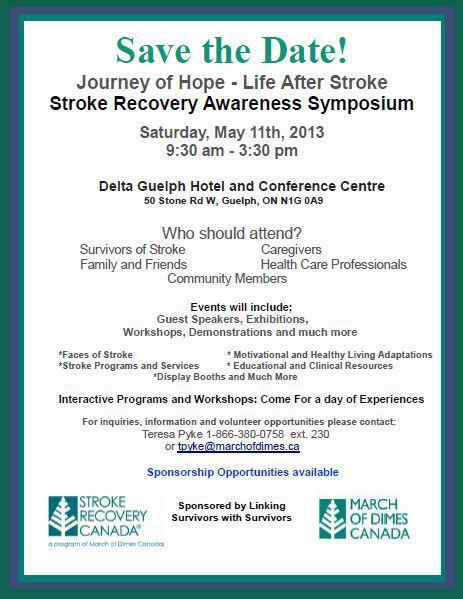 The conference has been offered as a part of Peer Support Services, a Program of March of Dimes Canada, since 2009 and continues to grow. We have organised approximately 20 to 25 different conferences, in conjunction with several different partners, at various locations across Canada. The conferences not only emphasizes the services that are readily available in the community, it also highlights the potential gaps and enables committee organisations to potentially develop solutions to address the growing need for community care. Follow up conferences have been offered in several locations as a result of the demand for additional services or topics. Currently the Peer Support Department at March of Dimes Canada is organising conferences at the following locations: Halifax, Nova Scotia, PEI (city to be determined), Newfoundland (city to be determined), Kingston, Ontario, Windsor, Ontario, Sarnia, Ontario, Calgary, Alberta, and Vancouver BC. March of Dimes New For The Week Of ~ April 1st, 2013.